Turn yourself into a giant white rabbit with this fantastic bunny rabbit fancy dress costume. 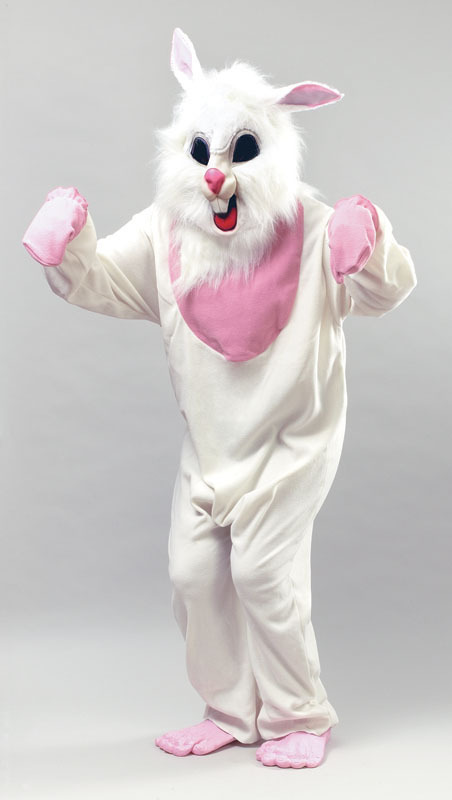 Included is a one piece white and pink plush jumpsuit, a pair of matching gloves and matching molded rabbit's feet. Completing the white rabbit fancy dress costume is rabbit mask decorated with white faux fur and attached ears. Perfect for wearing to an animal or Easter themed fancy dress party or for dressing up as the white rabbit from Alice in Wonderland for World Book Day.